Two Blocks, Two Machines | OccasionalPiece--Quilt! Posted on October 12, 2013 by Elizabeth E.
Bees are interesting things. I’m in a new one and am still figuring out how it ticks when this block arrived in the mail. 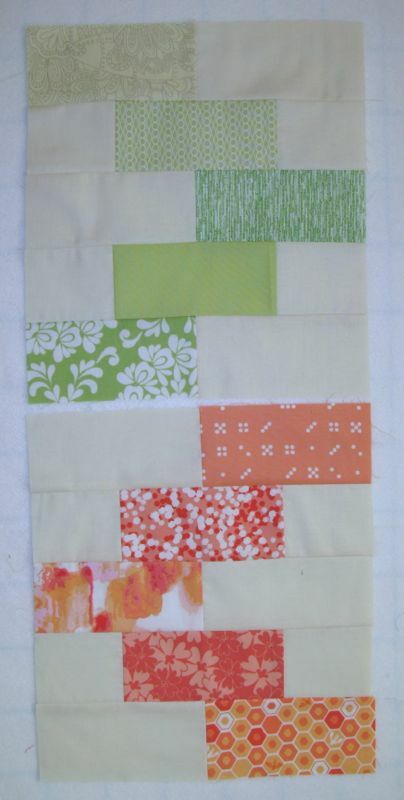 The instructions read to leave the quadrants unsewn as the bee-er wants to really make her quilt scrappy and move the blocks all around. It’s paper pieced. Seventy-two pieces per block (4 quadrants). It took me over 7 hours, closer to eight hours, to finish the two blocks. I began wondering about this quilter–who would send out such a complicated block to the bee and expect us to do not only ONE, but TWO blocks? 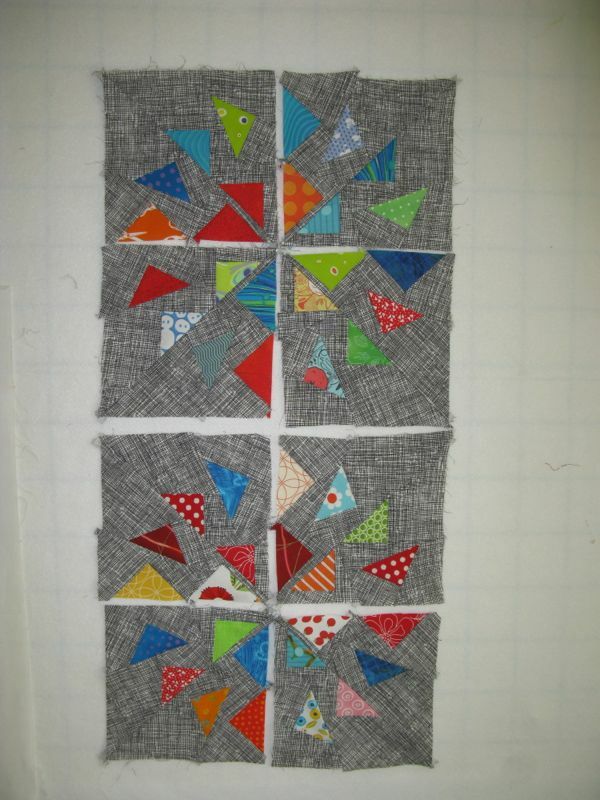 I began wondering about what a sheep I was to follow along, when I should have just sent back the unused fabric after the first block and the scraps for the little triangles, and kept it to one. The end result was that I didn’t feel very good about her, nor about myself–for not standing up and saying “This is excessive.” I was more than happy to send that off this morning! This is the blocks from another bee-er in the same bee. Because my first batch of fabric got lost in the mail, I was doing her September blocks in October. These blocks were already cut out, and both went together in under an hour. I’m happy to spend more than an hour on a bee block, but the contrast between this quilter’s and her bee-mates was astounding. I felt good about things as I mailed off her blocks this morning. On our walk yesterday morning, we passed by the house of an older neighbor, who was downsizing and moving up to the high desert. Stuff had to go, including this funky green sewing machine. We continued on our walk, never mentioning it, but on the return loop, I said to my husband, “Want to go and get the car . . . and your wallet?” He laughed. When he came back there were two machines waiting for him to load into the car (I didn’t take a photo of the other), but I got both for $55, including the matching cabinet that the father-in-law had made for this green machine. I took them right up to my Sewing Machine Whisperer, and he said they were worth tuning up, so into the shop they went. “You know, you have no foot pedal,” he said, gesturing to the green machine. In my defense, it was early in the morning, so when I went back, the older neighbor went up into her sewing room, but couldn’t find it. I left my name and phone number, and hopefully it will turn up. I’ll get these two older machine back in a few weeks; I plan to give one to my granddaughter, who wants to learn to sew. Today I plan to sew my brains out. And NOT on complicated funk-inducing, grumpy-generating bee blocks. I can empathize with your experience with the taxing bee blocks. I’ve had a few blocks that have been excessive requests. I adore the house block you made for me! I can see the effort and creativity that went into it. And I love vintage machines! Love, love the vintage machine – mine is blue accenter and just gorgeous as well! And I found my voice a while back – when a neighborhood assn. meeting became too much, I stood up and said “I’m out of here, sorry”. When I fall into something that isn’t fun, I do the same thing – up and leave. Life is way too short to get stuck doing something which just makes you crazy! Conversely, if I find something totally fun, I can do it forever. That’s a great sewing machine story. In all my life, I have only ever owned one sewing machine. You are impressive. I’ve been in bees like that – very frustrating!!!! I love your new green sewing machine – check Ebay for a foot pedal. Your mean green machine is so cute!!! Hope you find the foot pedal and it all works well. I love the vintage look. Fell your pain on the 8hr bee block too although I’ve not that problem with our bee. Hope the new one I joined won’t be too time consuming. wow i think the first bee person was quite cheeky to ask for two blocks of such a complicated style. i wouldnt have made the second and would have said something to the group. that green machine is fantastic!!! Love the green machine, and the sweet cabinet! I’d also be resentful of the amount of work you were expected to do for this one! I really love the kind of bee I’m in, where we make a requested block using our own fabrics, so we get the benefit of each others’ stash! Even if the block is challenging, it’s fun to try just one. I usually have a better idea halfway through the first block, and end up making a second, too! Your green machine is awesome! Love it! I have 22 machines now, I gave away a few this year. Its nuts but I can’t help it! I think you made 8 blocks!! That looks challenging; and a lot to ask of a person. Love the green machine too!! Those blocks must be been a real pain! I have made the simple version of the Circle of Geese- but never again! And our bee where we use our own stash is much nicer anyway!!!!! That is a lot to ask of a bee block! I can understand your frustration with it and yourself for doing two of them. I wonder how many others completed both. I hope the foot pedal is located. I hope you had a wonderful sew day! And yes, that is a bit much for a bee block request…you were very kind! I’ve been in a few bees now and there’s always someone who takes the p-word. But the majority of people are just lovely, which keeps me going back for more! I generally avoid bees and the like. Not because they aren’t fun, but because you never know what you’re going to get (on both sides of the bee). I love to be a cheerleader though! Despite the time, they are pretty great blocks. I’m sure she will be thrilled to have them and hopefully genuinely appreciates the effort that went in them. Oh you poor dear! I don’t blame you for the bad feelings. I am with you, she should have NEVER done that to you guys! Congrats on the great machine purchases….fun! I love that green machine! 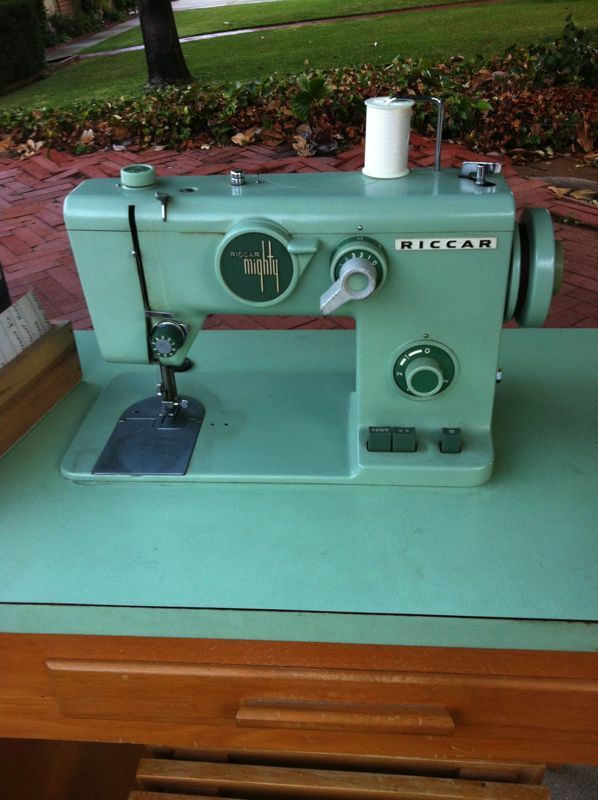 I’ve never seen another Riccar, my mom bought one for $800 in 1980 and says it was the Cadillac of sewing machines at the time. It’s the one I learned to sew on and I’ve more or less stolen it from her, haha! I hope you find the pedal, of not you absolutely should get one on eBay! I am surprised by this post.